An American-French law teacher is due to be deported from Israel after his arrest on Friday while taking part in a protest against the demolition of a Bedouin village by Israeli forces. Gaby Lansky, lawyer of US-born Frank Romano, Sunday said his client has been sent to immigration for deportation without a hearing following his arrest. “There is an administrative decision to deport him,” Lansky wrote on Twitter. 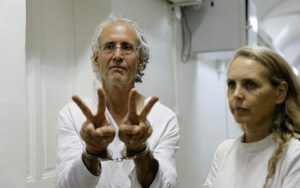 “Like thieves in the night, instead of bringing Frank Romano to a hearing to free him from jail, which I requested and which was set for 4 p.m. in Jerusalem Magistrate’s Court, without notifying me or the court, at 2 p.m., police transferred him to immigration for deportation,” the lawyer added. 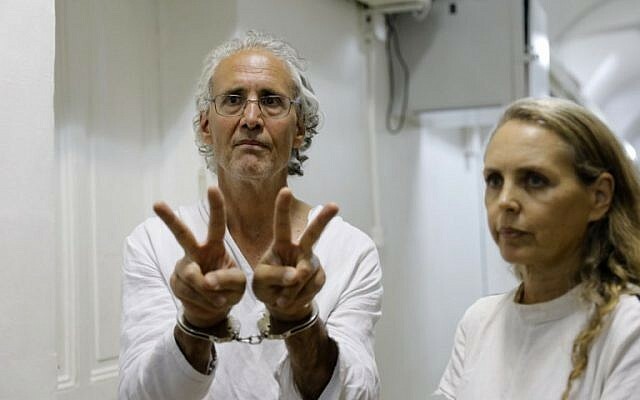 Romano, 66, who teaches law at the Paris Nanterre University, was arrested and detained on Friday as he tried to oppose the razing of Khan al-Ahmar, a Palestinian village situated east of Jerusalem, in Area C, which is under Israel’s control. Israel is due to demolish the village despite International calls to halt the plan. Around 200 Palestinians live in the village made of corrugated shacks and tents. Israel claims the village is illegal and built without license. Israeli authorities propose to relocate the villagers 12 miles (7 kilometers) away. Israel’s High Court of Justice last week rejected a final appeal against the demolition. Opponents of the demolition argue that it is part of plans to expand the nearby settlement of Kfar Adumim and to create a region of contiguous Israeli control from Jerusalem almost to the Dead Sea, a move critics say will bisect the West Bank, making a contiguous Palestinian state impossible, Times of Israel reports. Romano was arrested along with two other Palestinian activists. He was reportedly first moved to a police station in the West Bank before being locked up in Jerusalem. Posted by KanelkaTagba on Sep 17 2018. Filed under Headlines, World News. You can follow any responses to this entry through the RSS 2.0. Both comments and pings are currently closed.